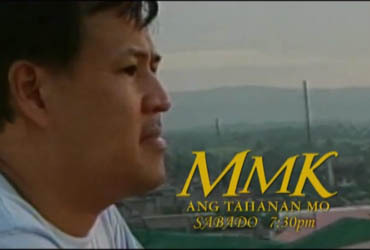 Your favorite Saturday Drama show of ABS-CBN will feature the life story of the Bicolano's pride in MMK. Mark your calendar this coming March 23 and watch the true to life story of former Secretary Jesse Robredo. He was a model father of one family, even on his hometown in Naga City where he served as a Mayor, he was well loved by his fellow Bicolanos because of his honest and righteous leadership. And with his sudden lost (when a private plane that he had rented for his work-travel crashed near Masbate site) people admired him most because of his good deeds when he was still serving the government. Jericho Rosales will portray the role as Secretary Jesse Robredo and Miss Kaye Abad will star as his wife Lenie. This MMK is directed by Raz dela Torre. Don't miss this unique story in Maalaala Mo Kaya this coming Saturday at 7:30PM after Wansapanataym in ABS-CBN.